Mediation is often a successful way to reach a settlement. If parties fail to resolve their conflict, information learned during mediation might be protected as confidential under state law. Contact our law firm today to help determine if mediation would be a valuable tool to resolve your case. Many people purchase a life insurance policy as a way to ensure that their dependents are protected upon their passing. Generally speaking, there are two basic types of life insurance policies: term life and whole life insurance. With a term policy, the holder pays a monthly, or yearly, premium for the policy which will pay out a death benefit to the beneficiaries upon the holder’s death so long as the policy was in effect. A whole life policy is similar to a term, but also has an investment component which builds cash value over time. This cash value can benefit either the policy holder during his or her lifetime or the beneficiaries. During the Medicaid planning process, many people are surprised to learn that the cash value of life insurance is a countable asset. In most cases, if you have a policy with a cash value, you are able to go to the insurance company and request to withdraw that cash value. Thus, for Medicaid purposes, that cash value will be treated just like a bank account in your name. There may be certain exceptions under your state law where Medicaid will not count the cash value. For example, if the face value (which is normally the death benefit) of the policy is a fairly small amount (such as $10,000 or less) and if your "estate" is named as a beneficiary, or if a "funeral home" is named as a beneficiary, the cash value may not be counted. However, if your estate is the beneficiary then Medicaid likely would have the ability to collect the death proceeds from your estate to reimburse Medicaid for the amounts they have paid out on your behalf while you are living (this is known as estate recovery). Generally, the face value ($10,000 in the example) is an aggregate amount of all life insurance policies you have. It is not a per policy amount. Each state has different Medicaid laws so it’s absolutely essential that you seek out a good elder law or Medicaid planning attorney in determining whether your life insurance policy is a countable asset. Let’s face it – it’s tough getting old. The aches, pains, and pills often associated with aging are things that many members of the baby-boomer generation know all too well by now. Though you might not be able to turn back time, you can help an aging loved one enjoy their golden years by giving them a safe, affordable place to call home. If an aging parent is moving in with you and your family, there are many quick fixes for the home that will create a safe environment for seniors. Start by taking a good look at your floor plan. Are all the bedrooms upstairs? You may want to think about turning a living area on the main floor into a bedroom. 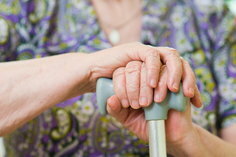 Stairs grow difficult with age, especially for seniors with canes or walkers. Try to have everything they need accessible on one floor, including a bed, full bathroom, and kitchen. If the one-floor plan isn’t possible, make sure you have railings installed on both sides of staircases for support. A chair lift is another option for seniors who require walkers or wheelchairs. Be sure to remove all hazards in hallways and on floors. Get rid of throw rugs – they can pose a serious tripping hazard. Make sure all child or pet toys are kept off the floor. Add nightlights to dark hallways for easy movement during the night when necessary. Also install handrails for support near doorframes and most importantly, in bathrooms. Handlebars next to toilets and in showers are essential for senior safety. Use traction strips in the shower, which should also be equipped with a seat and removable showerhead. To avoid accidental scalding, set your hot water heater so that temperatures can’t reach boiling. You may also want to consider a raised seat with armrests to place over your toilet, to make sitting and standing easier. This applies to all other chairs in the house as well. Big, puffy chairs and couches can make it very difficult for seniors to sit and stand. Have living and dining room chairs with stable armrests, and consider an electronic recliner for easy relaxation. To keep everyone comfortable and help avoid accidents, store all frequently used items in easily accessible places. Keep heavy kitchen items between waist and chest height. Even with appropriate precautions, not all accidents can be avoided. Purchasing a personal alarm system like Life Alert can be the most important preparation you make for a senior family member. If they are ever left alone, Life Alert provides instant medical attention with the push of a button that they wear at all times. Amidst all the safety preparations, remember that it’s important to keep the brain healthy, too. Have puzzles, cards, large-print books and magazines, computer games, and simple exercises available to keep seniors of healthy body and mind. These simple preparations can not only help extend the life of your loved one, but help to make sure their remaining years are happy and healthy. A Pooled Income Trust is a special kind of trust that is established by a non-profit organization. This trust allows individuals of any age (typically over 65) to become financially eligible for public assistance benefits (such as Medicaid home care and Supplemental Security Income), while preserving their monthly income in trust for living expenses and supplemental needs. All income received by the beneficiary must be deposited into the Pooled Income Trust. In order to be eligible to deposit your income into a Pooled Income Trust, you must be disabled as defined by law. 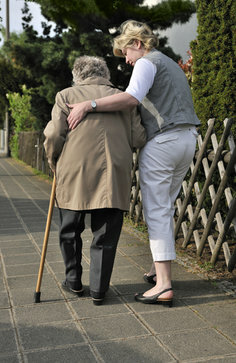 For purposes of the Trust, "disabled" typically includes age-related infirmities. The Trust may only be established by a parent, a grandparent, a legal guardian, the individual beneficiary (you), or by a court order. Typical individuals who use a Pool Income Trust are: (1) elderly persons living at home who would like to protect their income while accessing Medicaid home care; (2) recipients of public benefit programs such as Supplemental Security Income (SSI) and Medicaid; (3) persons living in an Assisted Living Community under a Medicaid program who would like to protect their income while receiving Medicaid coverage. Medicaid recipients who deposit their income into a Pooled Income Trust will not be subject to the rules that normally apply to "excess income," meaning that the Trust income will not be considered as available income to be spent down each month. Supplemental payments for the benefit of the Medicaid recipient include: living expenses, including food and clothing; homeowner expenses including real estate taxes, utilities and insurance, rental expenses, supplemental home care services, geriatric care services, entertainment and travel expenses, medical procedures not provided through government assistance, attorney and guardian fees, and any other expense not provided by government assistance programs. Like most governmental benefit programs, there are many myths surrounding Medicaid and eligibility for benefits. One of the most common myths is the belief that only 50% of the funds in a jointly-owned bank account will be considered an asset for the purposes of calculating Medicaid eligibility. Medicaid is a needs-based program that is administered by the state. Therefore, many of its eligibility requirements and procedures vary across state lines. Generally, when an applicant is an owner of a joint bank account the full amount in the account is presumed to belong to the applicant. Regardless of how many other names are listed on the account, 100% of the account balance is typically included when calculating the applicant’s eligibility for Medicaid benefits. Why would the state do this? 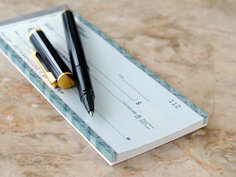 Often, these jointly held bank accounts consist solely of funds contributed by the Medicaid applicant, with the second person added to the account for administrative or convenience purposes, such as writing checks or discussing matters with bank representatives. If a joint owner can document that both parties have contributed funds and the account is truly a “joint” account, the state may value the account differently. Absent clear and convincing evidence, however, the full balance of the joint bank account will be deemed to belong to the applicant. Individuals who are beginning the estate planning process may assume it's best to have their adult child(ren) join them in the initial meeting with an estate planning attorney, but this may cause more harm than good. This issue comes up often in the estate planning and elder law field, and it's a matter of client confidentiality. The attorney must determine who their client is- the individual looking to draft an estate plan or their adult children- and they owe confidentiality to that particular client. The client is the person whose interests are most at stake. In this case, it is the parent. The attorney must be certain that they understand your wishes, goals and objectives. Having your child in the meeting could cause a problem if your child is joining in on the conversation, which may make it difficult for the attorney to determine if the wishes are those of your child, or are really your wishes. Especially when representing elderly clients, there may be concerns that the wishes and desires of a child may be in conflict with the best interests of the parent. For example, in a Medicaid and long-term care estate planning context, the attorney may explain various options and one of those may involve transferring, or gifting, assets to children. The child's interest (purely from a financial aspect) would be to receive this gift. However, that may not be what the parent wants, or feels comfortable with. The parent may be reluctant to express those concerns to the attorney if the child is sitting right next to the parent in the meeting. Also, the attorney will need to make a determination concerning the client's competency. Attorneys are usually able to assess a client's ability to make decisions during the initial meeting. Having a child in the room may make it more difficult for the attorney to determine competency because the child may be "guiding" the parent and finishing the parents thoughts in an attempt to help. The American Bar Association has published a pamphlet on these issues titled "Why Am I Left in the Waiting Room?" that may be helpful for you and your child to read prior to meeting with an attorney. Generally, a "pooled trust" holds assets for people that have a disability, and/or elderly individuals. The trust is established and run by a not-for-profit organization, which will establish separate accounts for each individual within their system. However, the money of all of the individuals served is added together (in other words, it is pooled together) for investment and management purposes. There are typically two types of pooled trusts. The first type is sometimes referred to as a "first party" trust. In this type of trust the disabled person places his or her own assets into the trust. Doing so will cause those assets to be non-countable for government benefit programs, such as Medicaid. The trustee of the trust (the not-for-profit organization) can use that person's money to pay for things that Medicaid will not cover. So, the assets are still there for the benefit of the person but their use is restricted. In this type of "first party" trust, any assets that remain when the person dies must be paid to the state up to the amount that the state has paid out for the person's care under the Medicaid program. The second type of pooled trust is referred to as a "third party" trust. This means that the money did not come from the disabled person. For example, a parent with a disabled child could leave that child's inheritance to a pooled trust for the benefit of the child. The benefit is that the money would still be there for the child but would not disqualify the child from receiving SSI or Medicaid because the money would not be counted for these government programs. Unlike the first party trust, upon the death of the disabled person (in this example, the child) any remaining assets do not have to go to the state but can pass to any other beneficiaries that the parent wanted to have them. Whether a pooled trust would be of any benefit to you depends upon many factors. Seek the advice of a qualified estate planning attorney to determine your best course of action. For many people, retirement savings accounts are among the largest assets they have to bequeath to their children and grandchildren in their estate plans. Sadly, without professional and personally tailored advice about how best to include IRAs in one’s estate plan, there may be a failure to take advantage of techniques that will maximize the amount of assets that will be available for future generations. Assets in an IRA account usually transfer automatically to the named beneficiaries upon the death of the account holder, outside of the probate process. If the account holder’s desired beneficiaries change, due to marriage, divorce, or other major life events, it is critically important to update the named beneficiaries as quickly as possible to prevent the asset from passing to an outdated beneficiary. 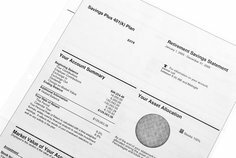 When updating beneficiaries, account holders should not neglect contingent beneficiaries – those individuals named to receive the asset if the primary named beneficiary is already deceased when the account holder dies. Example: Sarah’s IRA documents name her husband, Harold, as the primary beneficiary of her IRA. The contingent beneficiary is Harold’s son, George, from Harold’s first marriage. Sarah and Harold divorce. Harold dies. If Sarah dies before changing her IRA beneficiaries, George will receive the IRA. This may no longer be the result Sarah would have wanted. The “ostrich syndrome” is part of human nature; it’s unpleasant to observe that which frightens us. However, pulling our heads from the sand and making preparations for frightening possibilities can provide significant emotional and psychological relief from fear. When it comes to Alzheimer’s disease and other forms of dementia, more Americans fear being unable to care for themselves and burdening others with their care than they fear the actual loss of memory. This data comes from an October 2012 study by Home Instead Senior Care, in which 68 percent of 1,200 survey respondents ranked fear of incapacity higher than the fear of lost memories (32 percent). Advance planning for incapacity is a legal process that can lessen the fear that you may become a burden to your loved ones later in life. What is advance planning for incapacity? Under the American legal system, competent adults can make their own legally binding arrangements for future health care and financial decisions. Adults can also take steps to organize their finances to increase their likelihood of eligibility for federal aid programs in the event they become incapacitated due to Alzheimer’s disease or other forms of dementia. The individual components of advance incapacity planning interconnect with one another, and most experts recommend seeking advice from a qualified estate planning or elder law attorney. What are the steps of advance planning for incapacity? 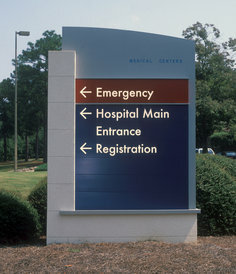 Depending on your unique circumstances, planning for incapacity may include additional steps beyond those listed below. This is one of the reasons experts recommend consulting a knowledgeable elder law lawyer with experience in your state. Write a health care directive, or living will. Your living will describes your preferences regarding end of life care, resuscitation, and hospice care. After you have written and signed the directive, make sure to file copies with your health care providers. Write a health care power of attorney. A health care power of attorney form designates another person to make health care decisions on your behalf should you become incapacitated and unable to make decisions for yourself. You may be able to designate your health care power of attorney in your health care directive document, or you may need to complete a separate form. File copies of this form with your doctors and hospitals, and give a copy to the person or persons whom you have designated. Write a financial power of attorney. Like a health care power of attorney, a financial power of attorney assigns another person the right to make financial decisions on your behalf in the event of incapacity. The power of attorney can be temporary or permanent, depending on your wishes. File copies of this form with all your financial institutions and give copies to the people you designate to act on your behalf. Plan in advance for Medicaid eligibility. Long-term care payment assistance is among the most important Medicaid benefits. To qualify for Medicaid, you must have limited assets. To reduce the likelihood of ineligibility, you can use certain legal procedures, like trusts, to distribute your assets in a way that they will not interfere with your eligibility. The elder law attorney you consult with regarding Medicaid eligibility planning can also advise you on Medicaid copayment planning and Medicaid estate recovery planning. The "Sandwich Generation" . . . Serving as a Personal Representative (a/k/a Executor)? You’ve Established an Estate Plan. Do You Know Where the Documents Are? Does Your Family? Mullen & Guttman PLLC has offices in Edina, MN, St. Michael, MN, & Lake Elmo, MN and provides estate planning services to individuals and families throughout Minneapolis, St. Paul, and the surrounding communities. We provide legal services in the following counties: Hennepin, Ramsey, Dakota, Anoka, Wright, Washington, Carver, Scott, Sherburne, Le Sueur, Sibley, Pierce, Isanti and Chisago.